While most homemade wines turn out just fine all by themselves, sometimes they need a little help. Many wines are improved when fined for clarification or flavor modification, deacidified to deal with high acid, or treated with copper to remove sulfide odors. But which treatment and how much will do the most good? While some rules of thumb and general guidelines can point the winemaker in the right direction, there’s nothing like a trial for really pinning down the best treatment. Every manipulation of a wine changes it. If you fine with Sparkolloid® to clarify, you may also alter the aroma and flavor. If you fine with egg whites to reduce astringency, you may also take out desirable color characteristics. Over-fining with gelatin can leave a wine “stripped” and lacking in character. 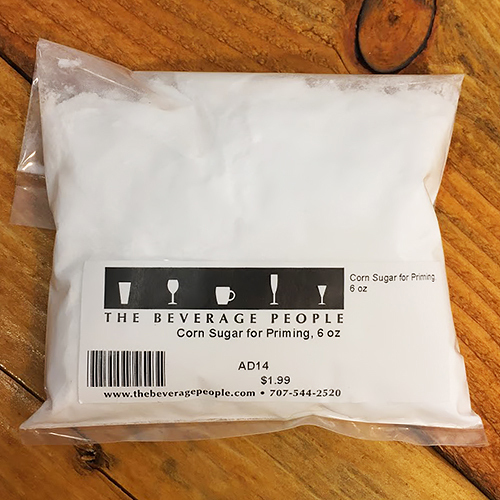 Even as simple a step as sweetening a little before bottling can be very different at, say, 1%, 2%, or 3% residual sugar. 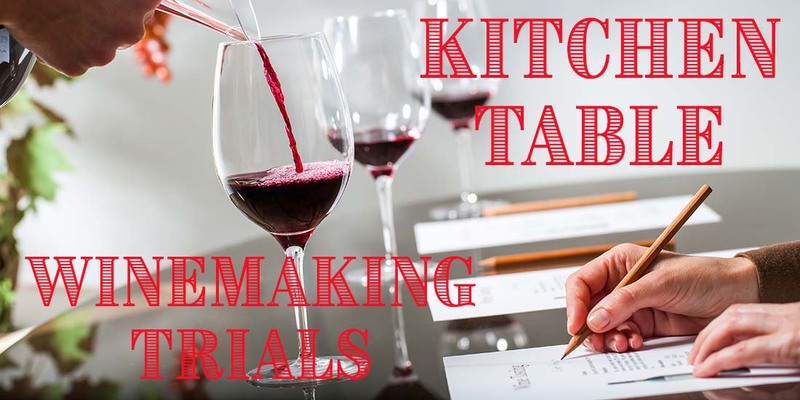 I don’t like to figure things out again every time I do them, so I have developed a generalized approach to home wine trials that use specific procedures that will make trials fun for you to do. Try it—you’ll like it. A 100 mL graduated cylinder. Several 10-mL and 1-mL pipets. A gram scale (like our little Counter Balance) can be very helpful, though not essential. Decide what three conditions you want to try (like 1%, 2%, and 3% residual sugar) or (egg white, milk, and Sparkolloid® fining agents). Label your four bottles as C (control), 1, 2, and 3 (for the test conditions). Using a wine thief, fill a 375 mL sample in the C (control) bottle. (If you aren't going ahead with wine treatment as soon as you get your results, just squirt some “Private Reserve” wine preserver gas (or carbon dioxide, nitrogen, or argon) in to fill the empty space—it will be fine overnight. Take your 375-mL sample to the kitchen table. Using the graduated cylinder, measure 100 mL into each of the other three labeled bottles (leaving 75 mL in the control bottle). Make your desired additions using teaspoons or pipettes (See Tables 1 and 2) to each of the three test bottles. Swirl or shake to mix. Get yourself one or two helpers—multiple palates are better than a single judge. 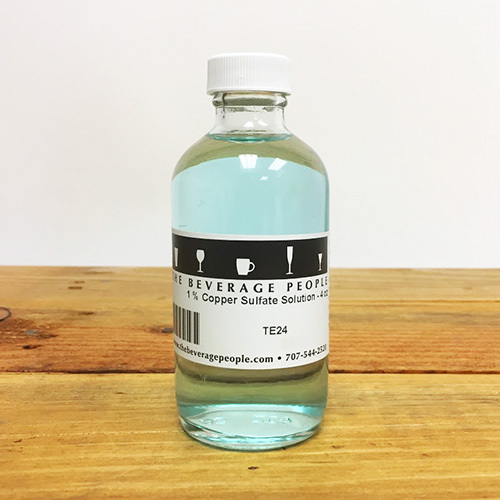 A 100 mL sample (or even the 75 mL control) will easily provide three or four tasting samples. Get out four wine glasses for each taster. I like to arrange them on an 8 1/2” x 11” piece of paper made into a placemat (See PDF below). Put one glass on each of four marked circles for your control and the three conditions. Using a paper placemat allows taking your notes directly on the mat, making it easy to keep them for future reference and winemaking decisions without transcribing anything. 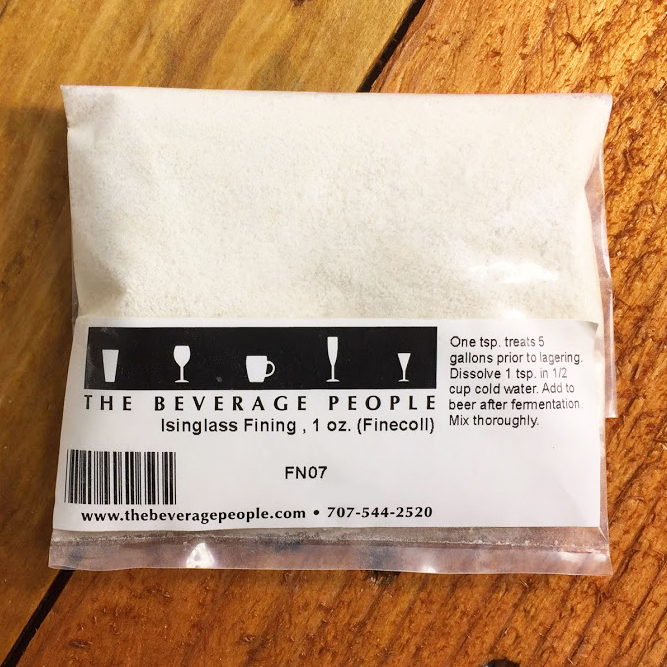 Pour about one ounce of each condition— including the control—into the designated glasses. Starting with the control, observe, swirl, sniff, and taste. Write down any comments about the control. Repeat for each test condition, retasting the control as needed to keep the reference in mind. Keep in mind that the winner may well be the control—sometimes the anticipated treatments really aren’t improvements. After choosing the best result, apply the same addition strategy to your bulk wine, treat the whole amount, and continue as instructed with whatever product you are adding. 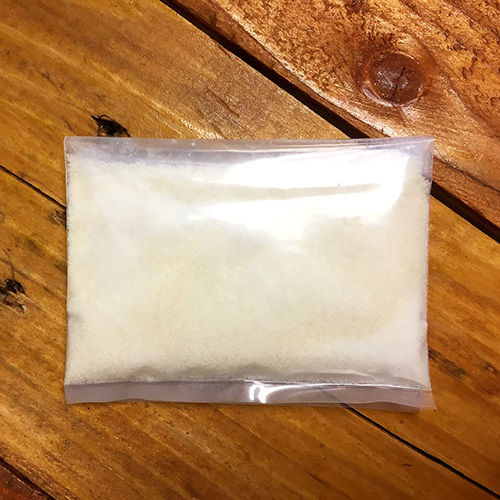 Gelatin (Note D) 0.05 0.35 oz. Note A: Mix 1/2 teaspoon of the powder into 1/2 cup of water (for Sparkolloid, simmer 15 minutes). While stirring, scoop out 1/2 teaspoon for each 100 mL trial sample. Note B: Soak 1/2 tsp. in 1/2 cup water with a few grains of citric acid for 30 minutes. Stir and add 1/2 tsp. to the 100-mL trial sample. Note C: For about 1% residual sugar. Multiply as needed for 2%, 3%, etc. Note D: Dissolve 1/2 teaspoon in 1/2 cup hot water. Let sit for 10 minutes. Stir this mixture and take 1/2 teaspoon of it for each 100 mL trial. Note 1: For about 1% concentration. Multiply for other trials at 2%, 3%, etc. 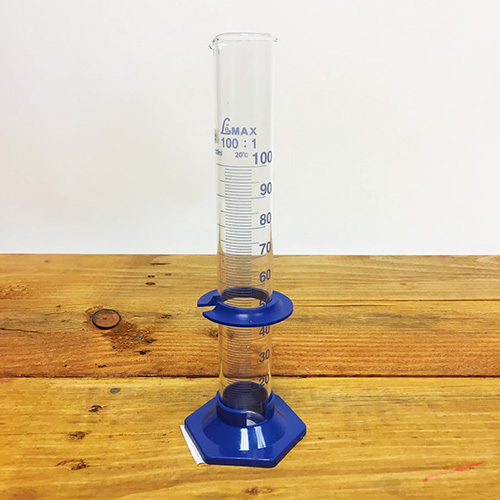 Note 2: Place 1/4 teaspoon (or 1.0 mL) in a graduated cylinder and dilute with distilled water to 50 mL. Pour this into a small beaker or a glass and use 1/4 teaspoon (or 1.0 mL) in the 100 mL trial addition. Note 3: Beat one egg white until frothy. Mix in 2 cups of distilled water, beat, and use 1/4 teaspoon (or 1.2 mL) in the 100 mL trial. To deal with other materials or concentrations, you can do your own calculations. The conversions in Table 3 and Table 4, below, may help. 1/16 tsp. (use about 1/2 of a 1/8 tsp. If you don’t have a gram scale to measure the first Tablespoonful, Table 4 has some approximate weights of common addition materials. Keep in mind, however, that apparent densities of solid materials (“fluffiness” or compactness) can vary from lot to lot. * “Fluffy” materials are gently compacted in a level Tablespoon. All other materials are shaken level in the spoon. For example, if you wanted 0.5 grams of gelatin, you could measure 1/8 teaspoon with a measuring spoon for 12÷24=0.5 grams. We had intended to stop the fermentation of a Rosé of Petite Sirah with one or two brix left to make a refreshing, off-dry summer picnic wine. However, the fermentation ran away from us and the wine went completely dry. It was a little too tart that way, so we decided to try 1%, 2%, and 3% sugar (from Wine Conditioner syrup) to choose the best sweetness. Since that syrup is about 2/3 sugar by weight, it takes about 1 1/2 mL to be a gram of sugar. So, for our three conditions, we added 1 1/2 mL, 3 mL, and 4 1/2 mL to the three 100-mL portions of wine. After mixing, I poured samples for my wife, Marty White; my brother, John Peak; and myself. We did this in the morning, when most palates are at their most sensitive. We all found the 1% level to be pleasantly sweet, but still very crisp—a very nice dinner rosé level. The 2% level was not good at all—it just made the wine taste bland and a bit sweet. We expected 3% to be worse still, but it wasn’t. It moved over into clearly sweet, but was very fruity and much better than 2%. We decided to go with the crisper 1% level because we intend to drink it as a dinner wine, but the 3% would have been nice as just a sipping wine. The trial certainly showed that just guessing could be greatly improved by comparative tasting with its surprising results. After barrel fermenting, several months of aging, and two rackings, our 2004 Chardonnay exhibited a slightly grayish color and some fi ne cloudiness that wasn’t settling out. 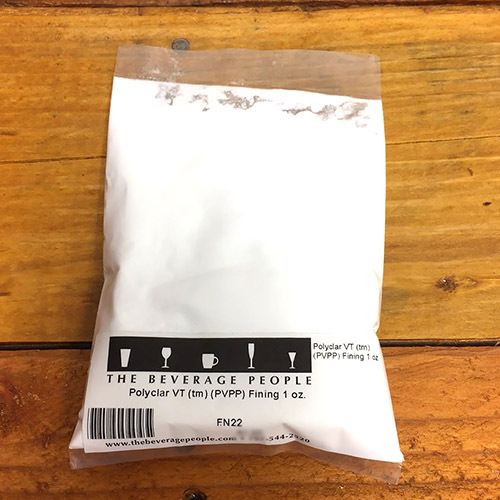 We decided to try Sparkolloid (a great all-purpose wine clarififier) for condition #1, Polyclar (PVPP—well known for removing “browning” and other oxidation products) for #2, and the two of them together for our third condition. This one was a bit trickier because the Sparkolloid is a hot-activated fifining agent. The recommended use level is simmering 5 to 7 grams in 1 to 2 cups of water for 15 minutes to treat 5 gallons. So, how to treat 100 mL? Five gallons is about 19 liters, but I rounded off to 20 liters to simplify my math. Five grams in 20 liters is 5grams/20,000 mL. Twenty thousand divided by 100 is 200. So we need 5/200 or 0.025 grams in 100 mL. Now, that is way too small an amount to simmer and measure. So instead, we do what a laboratory calls a “serial dilution.” First, we put about 1 gram (use 1/2 teaspoon, which is close enough) in 100 mL (about 1/2 cup) of water and simmer it for the 15 minutes. Then, we have a slurry in a small pot containing 1 gram, and we want 0.025 grams (or 1/40 of a gram) in each treatment. For 1/40 of the 100-mL mixture, we need 100 ÷ 40, or 2.5 mL of the mix. Now, we could use a pipet, except that we need to rapidly stir the slurry and get a reasonable amount of the solid Sparkolloid in the trial sample. So instead, we turn to Table 3 and find the measuring-spoon conversion is again 1/2 tsp. So, we will rapidly stir the hot 100-mL slurry and quickly scoop out a half-teaspoon to add to condition #1 Sparkolloid and another half-teaspoon for condition #3 Sparkolloid + Polyclar. For the addition of Polyclar, the usual amount is 2.5 to 12.5 grams in 5 gallons. We decided to test at a level of about 10 grams in 5 gallons, since our goal is to see if it helps, not to set the dose (at this stage). Looking again at our 20 liter estimate for 5 gallons, 10 grams in 20 liters is (10/20,000) x 100 = 0.05 grams in the trial bottle. Since Polyclar is very flfl uffy, this is not as hard as it looks. One Tablespoon weighs 3.6 grams, so let’s look at 1/8 of a teaspoon. From Table 1, 1/8 tsp. = (3.6/24) grams, or 0.15 grams. That’s still too much, so what about 1/16 teaspoon? Since 3.6 ÷ 48 = 0.075, that’s close enough. So we estimate about 1/2 the volume of a 1/8 teaspoon measure, coming close enough to 0.05 grams for a trial fi ning series when you are choosing the fi ning agent and not trying (yet) to fi ne-tune the dose. So, 1/16 of a teaspoon of Polyclar goes into condition #2 Polyclar and another 1/16 into condition #3 Sparkolloid + Polyclar. All four bottles were shaken vigorously to mix—even the control, since shaking and the resulting oxidation might affect the outcome. The bottles were then placed in a dark cabinet overnight. The control was unchanged from pre-test conditions: still a bit gray and slightly cloudy, but with classic Chardonnay aromas complemented with nicely rounded oak and a lemony finish. Condition #1 Sparkolloid, was much better. Clear, no gray color at all, a lovely light gold. It was a bit less oaky, with smoother, rounder flavors—altogether a better wine than the control. Condition 2, Polyclar, was clearer than the control but not as clear as #1. There was a slightly edgy aroma, like lemon peel. Flavor was about the same as the control. Condition #3 Sparkolloid + Polyclar, showed excellent clarity but still had the edgy aroma. It was distinctly less oaky, bland, and a little watery. So, our clear winner was Sparkolloid alone, and that’s how we treated the rest of the wine. It came out just as the trial suggested it would. Sure, it takes a little arithmetic, but it’s not really that hard. Your estimates will help you to fi nd out if the proposed treatments improve the wine, and if so, is one choice superior to the others? Once the trial gives you those answers, you can go forward with treating your wine with a lot more confidence, and more likely success, than when it’s a shot in the dark. While some rules of thumb and general guidelines can point the winemaker in the right direction, there’s nothing like a trial for really pinning down the best treatment. After you read this article and feel you are ready to perform your own table trials, click here and print a full size trial placemat.